In terms of releasing consistently strong material, Tony Levin is one of the best musicians out there. It is also important to note that (bass fan that I am) while I cut my teeth on Chris Squire and Geddy Lee's work (and still very much appreciate them) in recent years I've come to think of Levin as "the man" on the instrument. As this disc shows, though, he is not content to sit still creating only one type of album. This one purely stretches the boundaries of what one might have come accustomed to thinking when they hear the name. Just as he has forged new ground by moving more from bass guitar to stick, he also forges new musical ground here. This disc is different in many ways from anything else he's ever released under his own name. It is also an exceptionally successful release, combining an ever-changing palette of musical styles with a rock steady sense of quality. The result is an early contender for album of the year. If you like Levin, waste no time getting this one. If you've never gotten one of his solo albums in the past, I can think of no better place to start. A short, electro-techno flourish starts this. 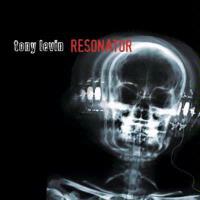 Then Levin brings in the rhythmic patterns, along with a killer mysterious tone. The band build up on this a bit, then it drops back to a stripped back arrangement with both standard rock and roll textures and a touch of modern King Crimson. The band play through this motif, but move it out into a cool, more experimental instrumental bridge later. The track later takes on a more lush arrangement and the tone becomes more light hearted. It drops back later to a bass dominated spoken word section that is punctuated with sung vocals. This is sedate, but still extremely evocative and powerful. At the end of this it moves into a new mode full of promise to burst out into a powerful jam. Instead of exploding out, as one might think they might, though, they gradually build it up then move it back to the song proper. Overall, this one rocks out pretty well and makes for a great disc opener. It has enough changes to make it interesting, but yet an overall accessible theme with a downright catchy chorus allows it to really grab you. The smoking guitar soloing that shows up from time to time doesn't hurt either. A quick introduction leads on to think that the group may be about to launch into a back porch blues, but that drops away and Levin lays down some incredibly funky bass sounds. The main song is constructed on another fairly stripped down arrangement, but this one is also held almost exclusively by some awesome bass work. The bass and voice pretty well run this show. In fact, the lineup on this cut is just Levin and Jerry Marotta (drums and backing vocals). Bass fans should really eat this one up. While the jam doesn't strike you as virtuosic at first listen, pay attention to what is really going on with the bottom end - and even the higher register. The man is laying down some extremely impressive work here. This one is less dynamic overall than the opening number, but still has a lot going on when you give a more careful listen. First off, kudos go out for the cool title. Secondly this one is a fast paced rocker that has some of the crunchiest sounds of the disc. This one is fun, a bit humorous and a real rocker. Adrian Belew contributes some smoking guitar work on this one. They break it down later to something that feels like a '50's rock and roll take on prog rock for the bridge, but when they come out, they are pounding even harder than they were before. This is a real smoker and one of the highlights of the album. While I'm not sure it qualifies as progressive rock, and it's a bit of a change for Levin, it has the most important factor going for it. It's very entertaining, and overall that's what really counts. Of all the lyrics on this disc, I think I enjoy the ones to this track the most. From the opening verse, the theme of a humorous take on some big issues is laid out. "My dog Lilly thinks that I am a god / My dog Lilly thinks that I am a god /I think that she suspects I am not perfect / But we both know she doesn't really care / Cause she believes her food appears by magic / And she notices that I'm the one who's there." It seems as the track carries on that Levin both expands upon this concept and uses it as a metaphor. I won't give away the meaning here, as this one is best discovered for yourself, but I will say that (to paraphrase a popular ad campaign) it's priceless. Here Levin looks to his past and reworks an older number of his own. Here, though, he's added vocals to the mix. It starts with a piano ballad type of style and as the band expand on the themes it takes on jazz textures, but also Beatles-like ones at times. They eventually launch this out into a killer prog rock excursion that works quite well. After a time in this instrumental mode they turn the corner back into the balladic format, but with a bit more "oomph" in the mix. Then it moves out into another expansive prog rock journey, this time rather fusion oriented in tone. This one is certainly another definite standout cut and gets exceptionally powerful and emotional in its tone. It also has some very meaty guitar soloing. In fact, if I were pressed on the issue, I might say that it's my favorite song on show here. The rhythm kicks this one off and after a bit of time a very pretty and rather jazz-like piano line joins in with an evocative melody line. This doesn't stay around for long, though, as when the vocals enter they are over the top of just the bass and percussion. Waves of keys eventually play on the apex of this and the piano returns. This becomes more and more lush in its arrangement as it carries forward. This one is an extremely beautiful song. More or less a progressive rock ballad it's one of the more effective compositions on a disc that is not lacking in strong material. It drops later to just keys for a short time, then the group bring the main motif back upward from that point. A more electronic progressive rock styling, quite tentative at first, starts this one. The group bring in more and more layers of sound to build on this base as it moves onward. This turns a bit towards a 1970's prog rock texture and I hear elements of The Alan Parsons Project, Yes and Genesis emerge at points. This more rock oriented mode doesn't last long, though, as the cut gets transformed for a time into rather atmospheric sounds. Then experimental, hard-edged neo-prog textures take over as they move it out into another new exploration. It turns more and more powerful as it moves onward, then drops back to a more stripped down, percussively driven style. They move back up into the earlier stylings for more inspiring musical passages from there. This instrumental is one of the most dynamic pieces on the album. Acappella tones begin this one and carry it for a time. Percussion is the first instrumentation to join into the mix. The vocal approach here reminds me a bit of Yes' Big Generator album. After this segment of just drums and vocals a screaming guitar line turns it more towards the modern King Crimson territory. As they build on this mode that resemblance becomes stronger. This is probably the most unusual track on the album. It takes a bit of getting used to it's rather chaotic texture, but it's well worth the effort. Wow, I finally know what all those "WWJD?" bumper stickers stand for! A metallic, stomping King Crimson like texture pervades this rocker. It's another that's more accessible, and will probably have you grooving in no time at all. This shifts later towards a more melodic prog rock sound, but still they throw enough curve balls into the mix to keep up the slightly off of mainstream approach. As it rocks out from there it launches into a smoking guitar solo. Some organ soloing with a killer retro sound is also incorporated. Yep, they cover this old as the hills chestnut! Levin and the guys bring it up to date, though. The song starts off with tentative electronic modes, then shifts gear to the most metallic music of the whole CD, screaming out of the gate in something that feels a bit like a more heavy metal take on Emerson Lake and Palmer. As the familiar melody emerges this one just plain grooves. Always a fast paced and energetic piece, here it's purely on fire. They move the themes through a number of reworkings and incarnations throughout the course of this instrumental. They even throw a bit of surf music into the mix. Starting with just piano, this one is a pretty ballad, and a nice drop back after the fury of the last powerhouse. While most of the song is based in this piano and vocal arrangement, a mellow jazz styled instrumental break is added in to break it up. At times this one feels a bit like a sedate tune that modern Yes or Jon Anderson solo might do. That said, Levin's vocals are certainly not styled like Anderson's. Only the music and arrangement give that impression. This one is a restful, but yet inspiring way to end the disc.